One of the most known hawksbill turtle facts is that these precious animals are very good dive buddies. In fact, for a scuba diver it is really an amazing experience to be face to face with these friendly and curious tortoises. Thankfully, enjoying their company during a dive is a frequent pleasure. With their charming faces, the intricate patterns of their shells, and their graceful movement in the water, one feels hypnotized, dazzled and wanting to learn more about them. If this is your case, and you are interested in finding out more about Hawksbill turtles, read on!! 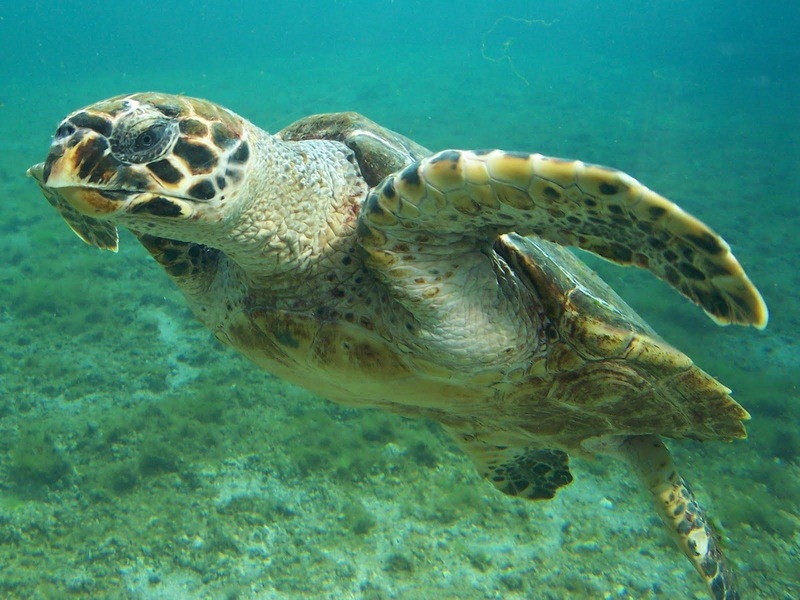 In this article you are going to find 10 Hawksbill turtle facts you should know. Be aware that learning about hawksbill turtles is going to help us appreciate more the beauty of these beautiful animals. 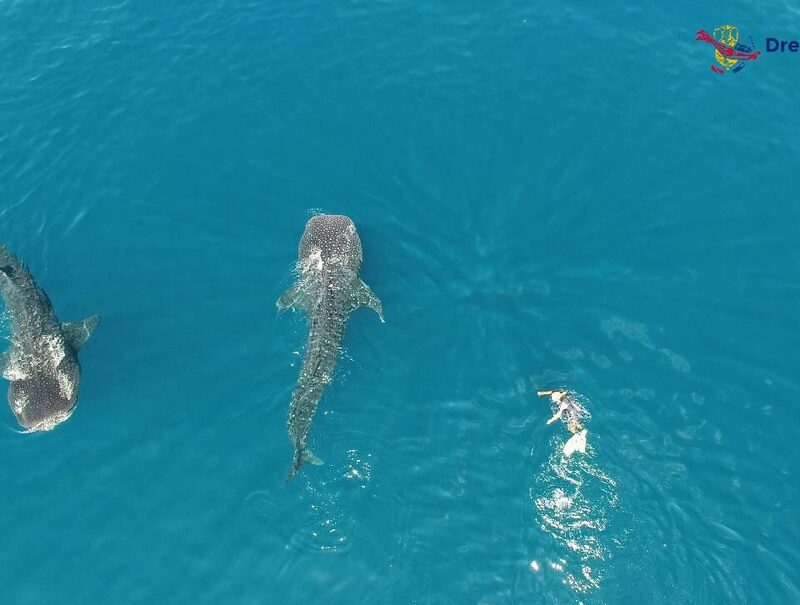 It will also help us to dive with them in an ethical and respectful way. Hawksbill Turtle Facts From The Mesozoic To Nowadays. Hawksbill turtles are one of the seven alive marine turtles’ species which currently exist on our planet. The scientists believe that the “Cheloniidae” family, name of the marine turtles, lives on our planet since the last Mesozoic, more than 65 million years ago. Sadly, like other sea turtles, hawksbills are threatened by the loss of nesting, feeding habitats and pollution among other factors. In fact, Hawksbills are considered Critically Endangered around the world by the IUCN Red List. 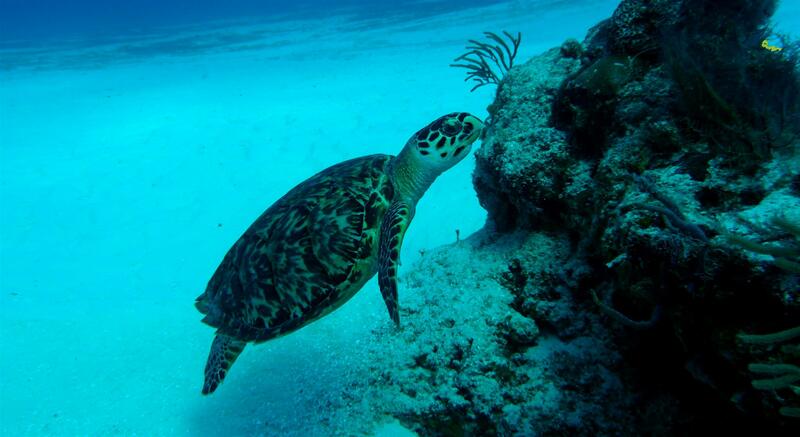 Hawksbill Turtle Facts About Their Beauty. It is easy to distinguish a Hawksbill turtle from the other marine species because of its narrow head and its pointed mouth that is certainly similar to a bird beak, hence their name. This beak is absolutely adapted to its feeding needs so, they can reach the cracks and crevices of coral reefs where their food is hidden. We cannot forget the Hawksbill turtle’s shells. While the turtle is young, their carapace is heart-shaped, but it get longer when they grow. The truth is that Hawksbill turtle’s shells are considered the most beautiful feature of this astonishing animal and, at the same time, a great threat. Their carapaces are absolutely stunning because of their beautiful colors and there distinctive pattern of overlapping scales. This lead to hawksbill’s overfishing in the past. Currently these shells are still very quoted on the black market. A further distinctive feature is their size. They are considered a small marine turtle species. Adult weight oscillates between 100-200 pounds (45 – 90 kg) and they reach 2-3 feet (0.5 to 1 meter) in length. Where Do Hawksbill Turtles Prefer To Live? The Hawksbill turtles are inhabitants of the Atlantic, Pacific and Indian Oceans, although the largest population occurs in the Caribbean Sea and other tropical and subtropical waters. 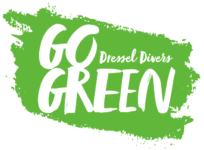 They love to spend their time on coral reefs, rocky areas, and shallow coastal places where sponges are abundant and sandy nesting sites are within reach. 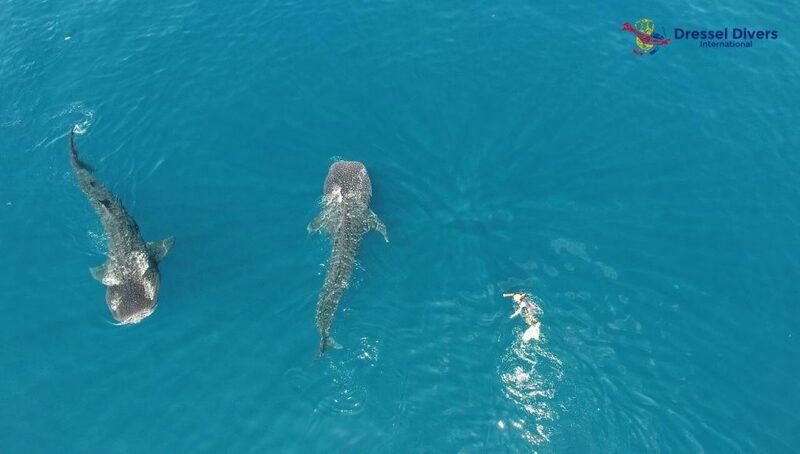 For that reason, it is not common to see them more than 65m/213 feet below the surface. Some Hawksbill Turtle Facts About Its Dangerous Hatch. Hawksbill migrates great distances in order to travel from feeding sites to reach secluded nesting sites. This is the moment when the female turtles can be seen on the sand of small beaches. They dig a pit in the sand and inside of it leave they egg covered by sand again. The eggs hatch in about 60 days. On average, a hawksbill nests 4 times per season, roughly each 2 weeks and it lays from 140 to 200 eggs per nest or more. The reason is that sea turtle hatchlings must do the most dangerous journey of their lives just after they break the shell to reach the sea from their nest. Only a few of them make it. Hawksbill Turtle Curiosities About Their Diet. Hawksbill turtles are omnivorous so, in spite of preferring sponges to feed on, they also eat mollusks, marine algae, crustaceans, sea urchins, fish, and jellyfish. 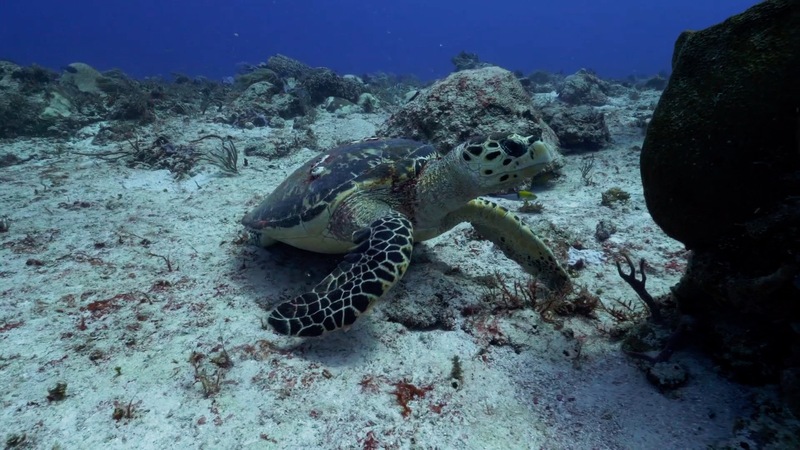 Did you know Hawksbill turtles’ flesh is harmful to humans? Sponges contain toxic chemical compounds which accumulate in the animal’s tissues ant it causes serious illnesses. 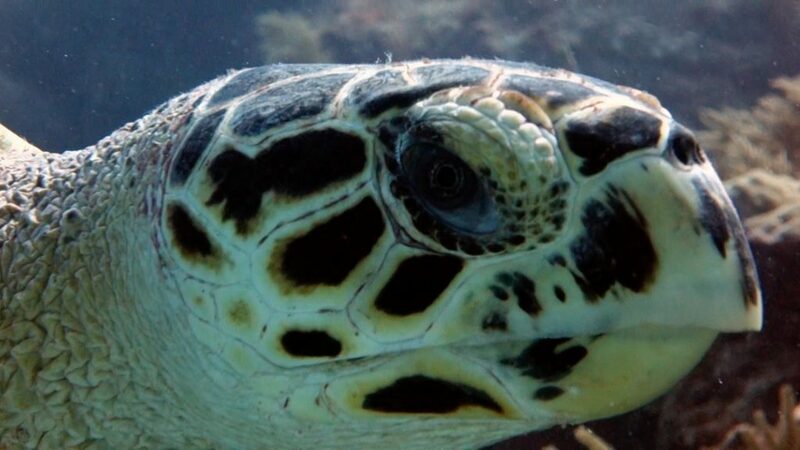 The Last But Not Least Of The Hawksbill Turtle Facts: They Are Important. On the other hand their preference for a diet based on sponges turned these animals into an important support for the coral reefs. Without them, sponges would have the ability to overgrow corals and suffocate reefs. In addition, they provide better access for reef fish to feed. Thanks to these 10 hawksbill turtle facts, we know a little more about these animals, and we are sure you will remember them the next time you scuba dive with one of these amazing creatures. Tell us, when will be the next time?